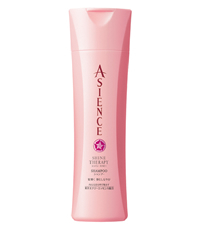 Hair regains strength & shine, becomes resistant to breakage & spilt ends. Colouring, rebonding or perming strip hair of moisture and nutrients, leaving hair damaged, weakened & dull. – Ultra repairing formula replenishes lost moisture and nutrients from root to tip to rebuild and restore hair from within. This entry was posted in 1 and tagged ASIENCE SHINE THERAPY NEW SHAMPOO&CONDITIONER, Fr3b, Fr3b Singapore’s 1st Sampling Concept Store, Fr3b.com, free beauty samples, Free giveaways, free samples, freebies, S’pores 1st Sampling Concept Store, singapore free beauty samples, singapore’s 1st online sampling platform. Bookmark the permalink.